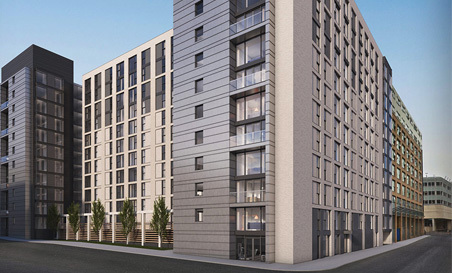 Atlas residential, in partnership with Rockspring Property Investment Managers, have acquired a former ice rink in Birmingham city centre which is now being redeveloped into 334 contemporary rental apartments whose on-site amenities will include a residents club & games room, fitness centre and lounge. 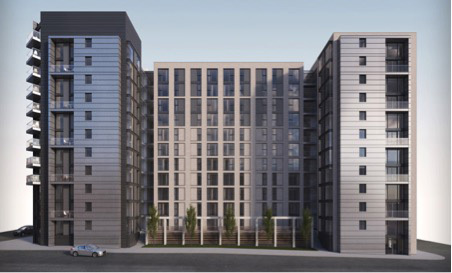 Conveniently located just a few minutes walk from Birmingham New Street Station, Grand Central & the famous Bullring shopping centre, the project when completed from spring 2018, will be Birminghams first ‘Build to Rent’ property and include underground parking, landscaped gardens and an on site leasing office from which Atlas will manage the building and service the needs of its residents. 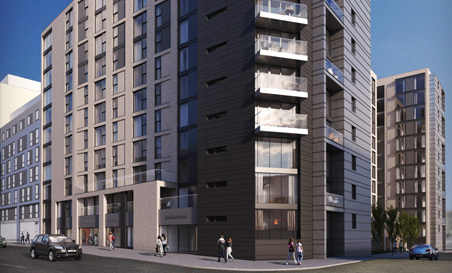 The Pershore Street Apartments are conveniently located within the heart of the city, within walking distance of rail transportation, retail, leisure and the central business district. 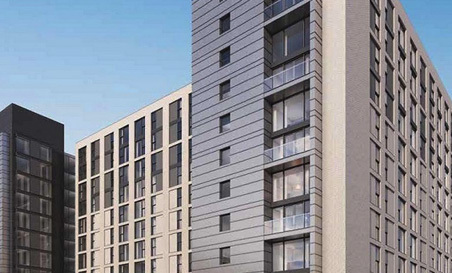 Its residents will enjoy the choice of studio, 1 and 2 bedroom apartments with fully fitted kitchens, contemporary bathrooms and stylish interiors throughout.